After 30+ years, Professor Suzanne Crowe AM has hung up her lab coat. “It’s with a mix of sadness, gratitude, fondness and huge congratulations that we bid farewell to Professor Suzanne Crowe AM; a person who has made an immense contribution to health, to medical research and of course specifically to Burnet Institute over more than 30 years,” Burnet Director and CEO, Professor Crabb AC said. A foundation staff member of Burnet Institute since 1986, Professor Crowe has held a number of major positions including: Associate Director (Clinical Research); NHMRC Principal Research Fellow; Head, WHO Regional Reference Laboratory for HIV Resistance; Head, Centre for Virology; Program Director, Health Ageing, and led a number of laboratories and programs including: Pathogenesis and Clinical Research Program; International Clinical Research Laboratory; Pathogenesis Laboratory; and the Flow Cytometry Laboratory. She was also Principal Specialist in Infectious Diseases at The Alfred hospital and Professor of Medicine and Infectious Diseases at Monash University, Melbourne. 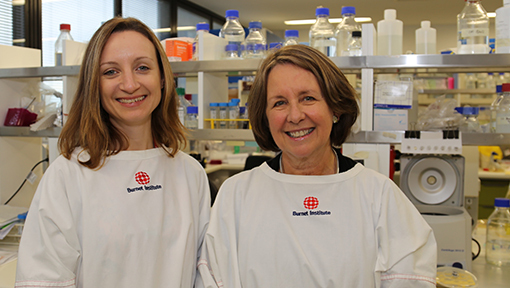 Image: With Dr Anna Hearps, Professor Crowe led Burnet’s Healthy Ageing Program. Her career began in 1968 as a medical laboratory scientist at the Repatriation General Hospital in Melbourne. She is internationally recognised as a clinician researcher with a primary focus around HIV and pathogenesis, and has made significant contributions in understanding the role of monocyte subsets and macrophages in HIV pathogenesis. Professor Crowe also worked closely with Burnet’s Associate Professor David Anderson on development of low-cost CD4 tests to monitor HIV infection in developing countries. 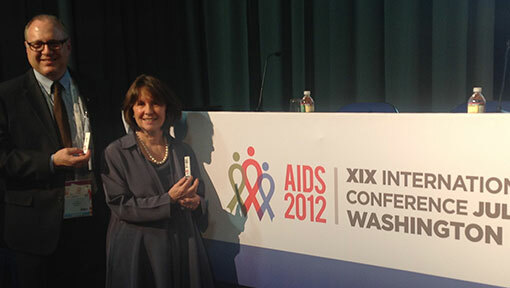 Image: With Associate Professor David Anderson launching Burnet’s CD4 HIV point-of-care test at AIDS 2012. She was honoured as a Member of the Order of Australia (AM) in 2011 in recognition of her outstanding services to medical research in HIV/AIDS medicine and infectious diseases as an academic, clinician and researcher, and to professional associations. At the forefront of Australia’s response to the AIDS epidemic of the 1980s, Professor Crowe along with close colleague and friend Associate Professor Anne Mijch, set up the first HIV clinic in Melbourne in 1984, based at Fairfield Hospital. “At the clinic initially about 25 per cent of patients turned out to be HIV-positive, probably because those who came to the clinic were aware of their risk or were already sick. We used to go to funerals all the time,” Professor Crowe said. 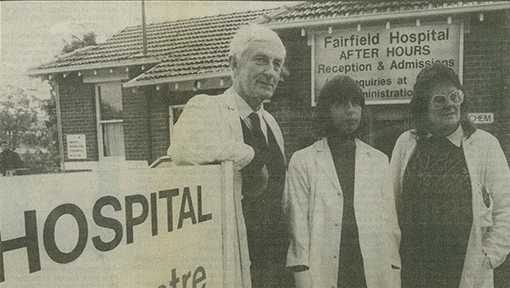 Image: Dr Ron Lucas with Professor Suzanne Crowe AM and Associate Professor Anne Mijch at Fairfield Hospital in 1991. Read her insightful first-hand account, Reflections: The early days of the HIV epidemic in Burnet’s IMPACT magazine. In bidding farewell to Professor Crowe tributes have flowed from many colleagues and students she has mentored, including Dr Clovis Palmer. Dr Palmer heads the Palmer Group: Immunometabolism in HIV and Inflammatory Diseases at Burnet. “It is hard to find a better mentor and more devoted scientist than Suzanne. When I started out at Burnet Institute eight years ago under her mentorship, I quickly realised how patient-oriented her scientific thought process was,” Dr Palmer said. “She has an exceptional command of basic science and is one of a few in the field who is able to direct you back to what it all means for the patients. “Her love for science is also infectious – there is a good reason why she internationally regarded as the “Monocyte Queen” and everyone who comes in contact with her, somehow ends up falling in love with monocytes - no one is spared! Burnet Institute and the medical research and scientific community will honour Professor Crowe’s achievements and legacy later this year. We wish her all the best in her retirement!